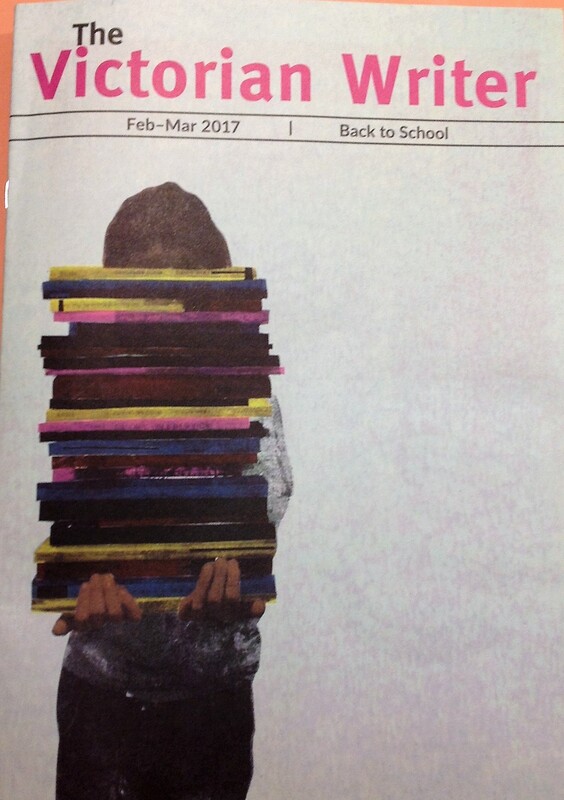 I’m delighted to be able to share an article about my writing journey published on page 22 of the The Victorian Writer magazine. 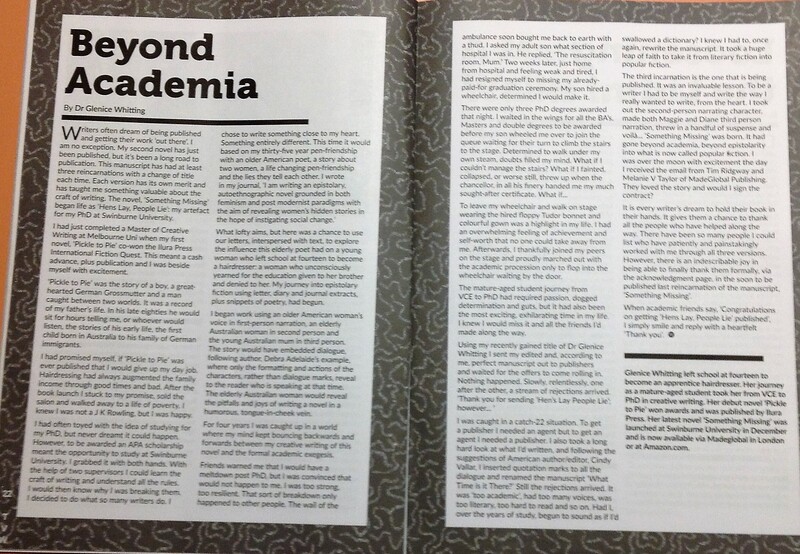 Anyone who wants to know what is happening in the writing world looks forward to this magazine. I believe they have 3500 members who delight in reading the articles and love the ‘competitions and opportunities’ page. Writers often dream of being published and getting their work ‘out there’. I am no exception. My second novel has just been published but it has been a long road to publication. This manuscript has had at least three reincarnations with a change of title each time. Each version has its own merit and has taught me something valuable about the craft of writing. The novel, ‘Something Missing’ began life as ‘Hens Lay, People Lie’: my artefact for my PhD at Swinburne University. I had just completed my Masters of Creative Writing at Melbourne Uni when my first novel, Pickle to Pie co-won the Ilura Press International Fiction Quest. This meant a cash advance, plus publication and I was beside myself with excitement. 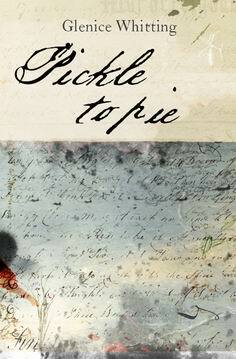 Pickle to Pie was the story of a boy, a great-hearted German Grossmutter and a man caught between two worlds. It was a record of my father’s life. In his late eighties he would sit for hours telling me, or whoever would listen, the stories of his early life, the first child born in Australia to his family of German immigrants. For four years I am caught up in a world where my mind kept bouncing backwards and forwards between my creative writing of this novel and the formal academic exegesis. To leave my wheelchair and walk on stage wearing the hired floppy Tudor bonnet and colourful gown was a highlight in my life. I had an overwhelming feeling of achievement and self worth that no one could take away from me. Afterwards, I thankfully joined my peers on the stage and proudly marched out with the academic procession only to flop into the wheelchair waiting by the door. The mature aged student journey from VCE to PhD had required passion, dogged determination and guts, but it had also been the most exciting, exhilarating time in my life. I knew I would miss it and all the friends I’d made along the way. The third reincarnation is the one that is being published. It was an invaluable lesson. To be a writer I had to be myself and write the way I really wanted to write, from the heart. I took out the overarching second person narrating character, made both Maggie and Diane third person narration, threw in a handful of suspense and Voilà …’Something Missing’ was born. It had gone beyond academia, beyond epistolarity into what is now called, popular fiction. I was over the moon with excitement the day I received the email that Tim Ridgway and Melanie V Taylor of MadeGlobal Publishing. They loved the story and would I sign the contract? It is every writer’s dream to hold their book in their hands. It gives them a chance to thank all the people who have helped along the way. There have been so many people I could list who have patiently and painstakingly worked with me through all three versions. However, there is an indescribable joy in being able to finally thank them formally, via the acknowledgment page, in the soon to be published last reincarnation of the manuscript, ‘Something Missing’. When academic friends say, ‘Congratulations on getting ‘Hens Lay, People Lie’ published’ I simply smile and reply with a heartfelt ‘Thank you’. Glenice Whitting left school at fourteen to become an apprentice hairdresser. 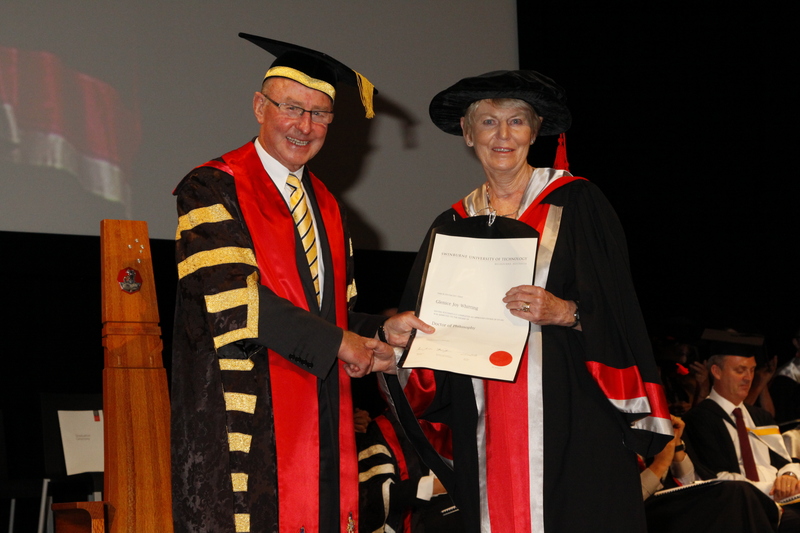 Her journey as a mature –aged student took her from VCE to PhD in creative writing. 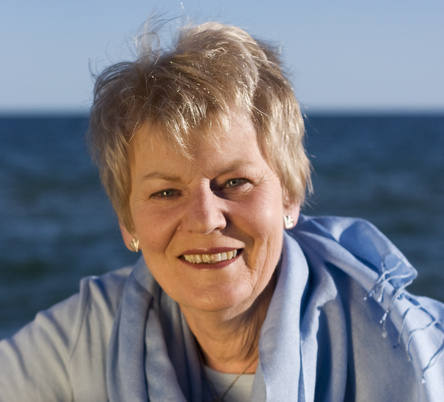 Her debut novel Pickle to Pie won awards and was published by Ilura Press. 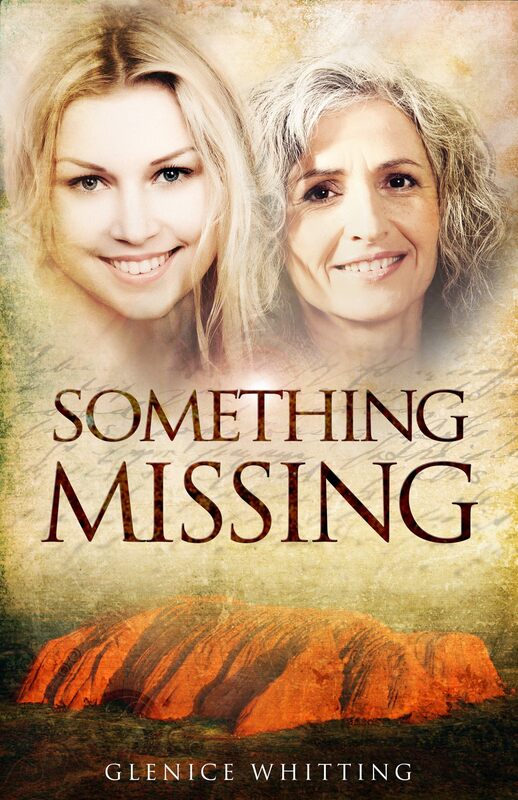 Her latest novel, Something Missing was launched at Swinburne University in December and is now available via MadeGlobal in London or at Amazon.com. Hey there I am so thrilled I found your blog page, I really found you by mistake, while I was searching on Yahoo for something else, Regardless I am here now and would just like to say many thanks for a marvelous post and a all round enjoyable blog (I also love the theme/design), I don’t have time to look over it all at the minute but I have book-marked it and also added in your RSS feeds, so when I have time I will be back to read more, Please do keep up the great b.